Lydia Ainsworth performs during SXSW. She told NPR in January, "I wondered, what if you could create a state in which your sensations and memories live on forever? What would that look like? What would that feel like? What would that sound like?" Well, we know what it sounds like now and found a place that maybe looks like it, too. 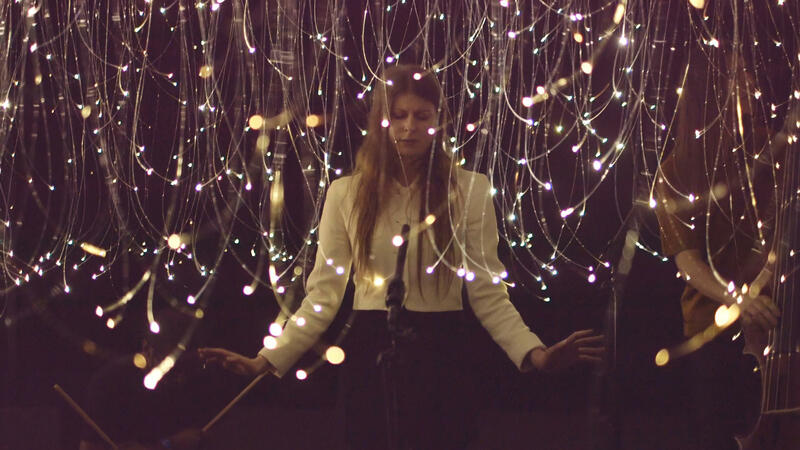 During the SXSW music festival, we asked Lydia Ainsworth to perform in Raum Industries' Optic Obscura installation. Surrounded by dim, long-hanging optical fibers that look like an infinity room of cat's whiskers, she sings a stripped-down version of the slow-burning "Afterglow," accompanied only by an upright bass and light percussion.